These simple but important skills will help you get a healthy and delicious meal on the table in no time! 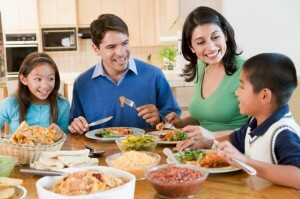 We all want to eat healthier and cooking at home helps control the calories, sodium and chemicals that are in our food. Organic grass fed meats help keep antibiotics and other chemicals (like pesticides and herbicides) out of our food, too. Not everyone, however, was raised in a household that taught cooking skills. With these easy to learn skills, you’ll be putting a fantastic meal on the table that you and your family are sure to enjoy! Grass fed steaks can be marinated anywhere from 30 minutes up to 24 hours. The acid in the marinade will penetrate more deeply the longer you leave them in the marinade. This will give you deeper flavor as well as a more tender steak as the acid will also break down some of the fibers in the meat. Organic chicken can be marinated from 30 minutes up to overnight. However, if you are using boneless, skinless organic breasts, they aren’t tough to begin with so it is possible to over-marinate leaving you with a “mushy” mouth feel. 2-4 hours is generally plenty of time to incorporate your marinade flavors into the organic chicken. If you are using bone-in pieces like thighs or drumsticks, they are able to stand up to a longer marinade. Wild caught seafood should only be marinated for 20-30 minutes. The acid in the marinade can begin to “cook” the seafood (think ceviche) before it hits the heat. Also, seafood has a more delicate flavor than beef so you don’t want to overpower it. Pastured pork can be marinated like steak, from 30 minutes up to overnight. Pork tenderloin is already very tender so if time is short, a simple rub of your favorite seasonings will suffice to give great flavor. A great marinade for Asian flavor is equal parts ketchup, hoisin sauce, brown sugar and soy sauce. After grilling, slice thinly on the bias and sprinkle with sliced green onions and toasted sesame seeds, serve on slider buns with your choice of hot mustard or plum sauce and a simple coleslaw on the side – yum! 2. Know the proper temperatures to cook your different meats to achieve your preferred level of doneness. Some meats need to be cooked to a certain temperature in order to be safe to consume. Ground meats including ground grass fed beef and chicken should be cooked to an internal temperature of 165 degrees. Seafood can be cooked to the doneness that you prefer whether well done and flaky or medium rare. Some people especially prefer their wild caught salmon to be cooked to a medium rare – still slightly pink in the middle. Grass fed beef should be cooked at a lower temperature and to a lesser level of doneness than you would a corn or grain fed steak because it has less marbling, or internal fat, to keep it moist. If you prefer your grain fed steaks medium try medium-rare for your grass fed steaks. In fact, most sources do not recommend cooking grass fed beef steaks past medium-rare to maintain moisture and tenderness. Find more cooking temperatures and tips here. Whether it’s a steak, a chicken breast, a piece of seafood or a casserole – always let it rest after you remove the food from the heat. What is resting? It just means you take the food out of the oven or off the stove or grill, cover loosely with some foil or a clean dish cloth and let it sit on the counter. Why would you do this? Resting allows the meat juices to redistribute throughout and the meat fibers to “calm down”. This way, when you cut into your steak, all the juices won’t run all over the cutting board or plate. If it’s a casserole, it allows the ingredients to “set” so when you cut it you won’t have an oozy mess on your hands! How long something should rest depends on the size of the item. A steak should rest between 5-10 minutes, same for a chicken breast and seafood should rest 3-5 minutes. A casserole should rest for 10-15 minutes and a roast or whole chicken should rest 15 minutes. 4. Slice it thinly and on a bias. This is especially important for steaks as opposed to chicken or seafood. The tougher the cut of meat the more important how you slice it becomes. For example, top sirloin, flank and skirt steaks are tougher than a filet mignon, rib eye or New York strip steak and will benefit more from taking care while slicing. 5. Roast your veggies for fresh and easy side dishes. Roasting is the easiest way to enjoy the season’s bounty of vegetables. Fresh vegetables laid out on a sheet pan, drizzled with oil, salt and pepper are delicious! Just put in a 350 degree oven for about 20 minutes or until they are the color and texture you and your family prefer. You can even roast a pan of vegetables while roasting a chicken breast or piece of seafood. Kick up the flavor and drizzle with balsamic vinegar and sprinkle with chile powder or your favorite seasoning combination to complement the flavors of your grass fed beef steaks. If you are grilling your organic grass fed meat, you can also grill many vegetables. If they are of a size that might easily fall between the grates on your grill, you could lay down some aluminum foil or invest in a “grill” saute pan which will allow the smokey flavor to penetrate the veggies but keep them safe from falling through the grates. This entry was written by Jeff, posted on March 13, 2014 at 6:50 pm, filed under Blog, Education, Health & Nutrition and tagged beef, chicken, grass fed, healthy, meat, organic, salmon, seafood, steak, wild-caught. Bookmark the permalink. Follow any comments here with the RSS feed for this post. Both comments and trackbacks are currently closed.